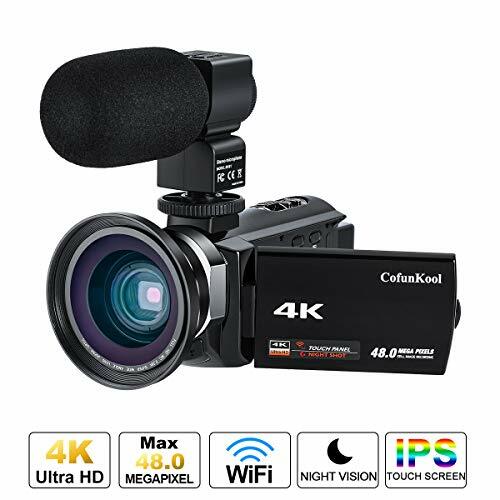 Why Choose CofunKool 4K Video Camera Camcorder for Video Recording? 1. 100% GUARANTEE: The camera support one month free replacement or refund, one year warranty. 2. 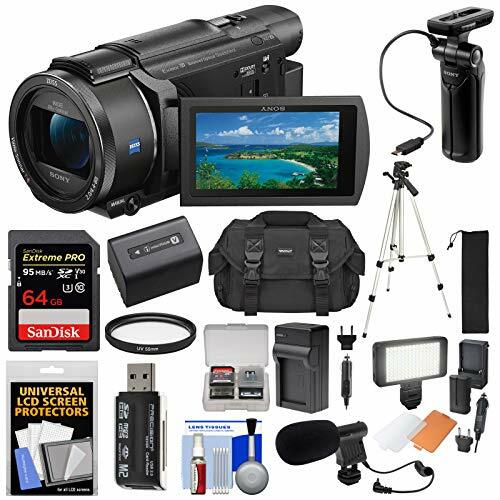 Multifunction Camcorder: Record important events, Suitable for Family entertainment , Family’s Trip, Wedding, YouTube Videos, Birthday Party, Sports Events, Tourist Attractions. 3. Light Weighted, Compact, Fashion: It has fashion designs, very modern shape. This camcorder take high quality videos and photos. 4. Microphone: The external microphone improve the audio recording, and it’s better than the camera built-in microphone. 5. Wide Angle Lens:The wide angle lens (including a macro lens) can captures wide view and tiny meticulous landscape. 7. WiFi Function: the wifi connection is quite stable, enables you to transfer photos and videos directly to you smart phone or share with my friends. 8. IR Night Vision:It’s a fantastic design and enables you to transfer photos and videos directly to you smart phone or share with my friends. Please read the user manual carefully before use the camera! This camcorder is designed for amateurs, not for Professional Users. Please format the SD card before using the camera. the SD card is not included in the package. Ultra HD 4K Camcorder: 13.0MP CMOS image sensor, Max 48.0 MP interpolation resolution, 4K @24fps, 1080P @60fps video resolution, 3.0 inch IPS touch screen with 270 degree rotation, 16X digital zoom, IR night vision, with 2 * 2500mAh rechargeable batteries. 4K Video Camera Camcorder with External Microphone and Wide Angle Lens: High-quality microphone use X-Y stereo Pickup Technology, Low Cut Filter to reduce noise. 0.39X super Wide Angle Lens for you can shoot wide and macro image, more clear and interesting. 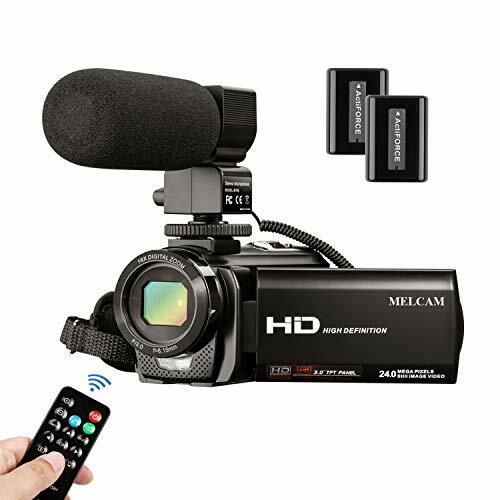 Wi-Fi Remote Camcorders: according to user manual complete wifi connection, can download photos and videos directly to your smart phone or share with your friends. Download the “NovaCam” APP from Google Play, or “YJK” APP from Apple App Store. Use this YouTube camera shooting videos to upload to computer, then share to your YouTube, Twitter, Instagram midea platforms to get fans. 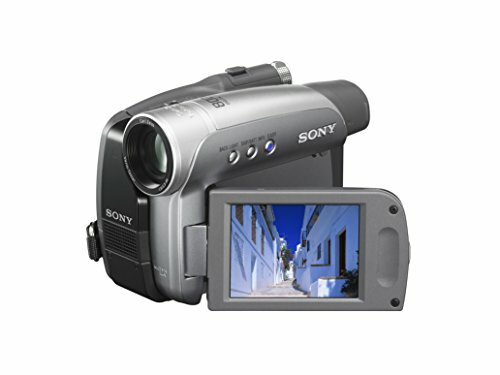 Digital video camcorder with dual memory card slot, supports up to 128GB memory card (not included). Please format SD card before use camcorder. Press Right/IR button to open night vision function, will get black and white image. Video camera comes with separate battery charger, supports use power bank charging to extend battery use time. Supports as a webacam and install a standard tripod. Any problems, please feel free to contact us from your account.